FGC members join with communities across New Zealand in many programmes and activities in order to deliver a positive impact and leverage industry skills, knowledge and resources to help New Zealanders live healthier lives. We are also keen to share our successes and promote the scaling up of programmes that bring communities together and to help inspire healthier communities and create a culture of prevention. In these we can show genuine industry leadership and offer an opportunity for positive change. The following programmes are a selection and by no means reflect the complete range of programmes our members support. This programme has been running for 24 years and is now so big that Sanitarium has had to outsource its operation. It helps kids stay active and healthy through a programme of participation. It’s about getting out there, giving it a TRY, achieving a personal best, and improving confidence and self-esteem. In the 2015/16 summer period more than 28,000 kids aged 7-15 participated in the swim, cycle, run event. Venues included all the main cities as well as regional centres such as Gisborne, Hastings, Nelson, Rotorua, Manukau, Mount Maunganui, Palmerston North, New Plymouth and Bay of Islands. In 2008, the Weet-Bix TRYathlon Foundation was established by Sanitarium staff to enable underprivileged and disadvantaged Kiwi children the opportunity to take part in, and experience, the Weet-Bix Kids TRYathlon. This provides worthy nominees with a subsidy of entry fees to a Weet-Bix Kids TRYathlon event, or via the subsidy of necessary equipment. Equipment is donated to eligible groups (e.g. schools) so that they can be used by many. The success of this Sanitarium Kiwi initiative (still owned and managed by the Sanitarium Marketing Department) has resulted in it becoming a gold standard, world-class event series for kids, and the largest under-16s kids triathlon series in the world (ratified by the International Triathlon Union). The KickStart programme provides a free school breakfast of Anchor milk and Weet-Bix to all New Zealand schools as a result of a partnership between Fonterra and Sanitarium in February 2009. The New Zealand Government joined as a supporter in May 2013 and this enabled the programme to be extended from two days to five, and it was opened up to all schools decile 1 – 10. More than 100,000 nutritious breakfasts are served each week in over 800 schools that run their own KickStart Breakfast club. Fonterra and Sanitarium provide the product. Then it’s up to the school community to provide provisions including bowls, spoons, a central location, food storage facilities and of course the people to run the breakfast club. The ‘community partnership’ model is an effective one, because by focusing on the critical aspect of food rather than logistics, KickStart is able to provide a breakfast offering to as many schools that choose to take part. Schools say KickStart Breakfast clubs are not only helping children nutritionally but are making a positive impact on learning behaviour. the older children are taking on responsibility and looking after the younger ones. Two national sponsors of the Life Education Trust are Frucor and Mainfreight. Life Education is a charity that provides children with the knowledge to make informed choices about their health, respect others, and learn to appreciate their uniqueness. The Trust reaches 245,000 primary and intermediate children every year. Life Education does not necessarily work on changing children’s behaviour, it works on changing desires. The Life Education philosophy focuses on creating a sensitivity to values that lead to an understanding and appreciation of human life. This enables the child to make decisions about any negative influences that might impede the development of their fullest potential. This is done by taking children on an adventure in a mobile classroom that is equipped with sight and sound equipment designed to capture children’s imaginations. The educators (registered teachers) take children on this journey, along with Harold the Giraffe, the Trust’s mascot. The Nestlé Healthy Kids Programme is aimed at raising nutrition and health knowledge and promoting physical activity among school-age children around the world. In New Zealand, the initiative is a programme called Be Healthy Be Active and is aimed at teachers of students in years 7 and 8. It covers children are aged from 10-13 years, which are critical years in forming good lifetime habits of eating well and enjoying being active. There are free teacher resources designed for teachers in partnership with teachers at School Kit, to inspire healthy and active kids through cross-curricular enquiry-based learning modules that are innovative and informative. 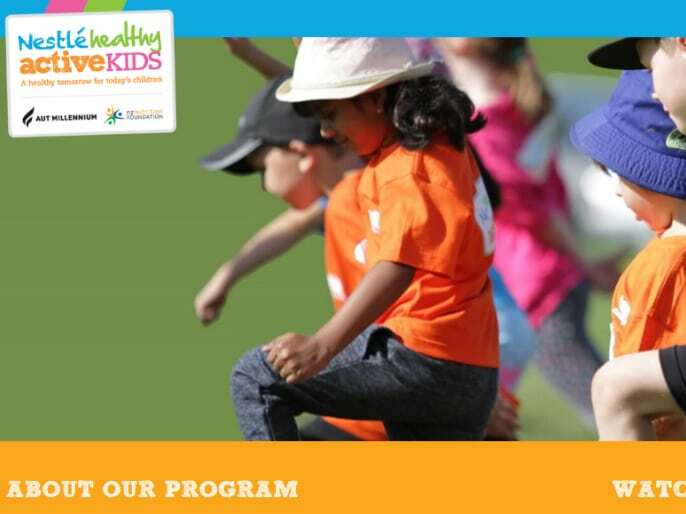 The programme is a collaboration with the NZ Nutrition Foundation and AUT Millenium, and is aligned with the New Zealand Curriculum in the areas of health and physical education. A number of FGC members participate in the Heart Foundation’s Fuelled4Life work (formerly the Food & Beverage Classification programme). Fuelled4life is aimed at making it easier to provide healthier food at schools or early learning service by giving support and resources to make the right choices. George Weston Foods, in partnership with KidsCan Charitable Trust, provides decile 1-4 primary and intermediate schools with Tip Top bread. Nourish Our Kids delivers 100,000 free loaves of bread into 300 schools each year to support balanced meals/lunches for students. George Weston has been involved in food-in-schools initiatives since 2008. 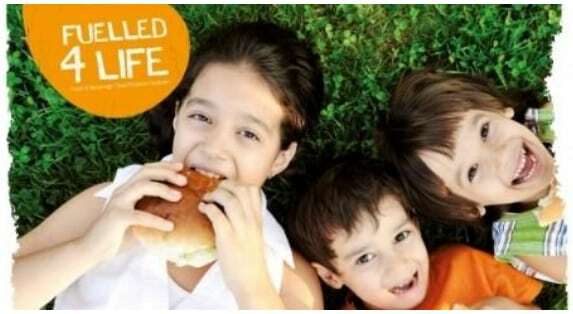 The Goodman Fielder Cares Trust helps people and organisations in need through the donation of food and resources. The Trust is supported by Goodman Fielder NZ Ltd and its employees through a variety of initiatives, including a workplace giving programme and a community service scheme. It is underpinned by a bread donation programme, which has been run by Goodman Fielder since 2006 and sees the donation of around 150,000 loaves of bread annually to food banks throughout New Zealand. Since Goodman Fielder Cares was launched in March 2013, the company’s employees have raised more than $100,000 through a range of fundraising initiatives. These funds are being distributed to organisations in need that are helping to feed hungry New Zealanders. Teaching young people in South Auckland how to cook healthy, tasty, and affordable meals is the objective of the Cook for Life programme. A new Youth and Community Development Centre, which was a joint initiative between Youthline and Kidz First Centre for Youth Health, was established in the Old Papatoetoe Fire Station in South Auckland. Nestlé’s funding of equipment for the Centre’s café gives young people the opportunity to enjoy eating healthy meals. The Cook for Life programme, which is presented in the new facility, allows young people to gain important information at cooking and nutrition classes. Attendees have hands-on experience on how to prepare tasty, healthy and affordable meals during the classes, and will take their learnings into the community. Nestlé sponsors the programme in association with Kidz First Centre for Youth Health. This programme provides the framework and teacher resources to teach kids of around nine years old cooking skills. It is based around eight favourite recipes: fruits in meringue pots, tuna fish cakes, corn and ham chowder, cinnamon apple muffins, macaroni cheese, ham and pineapple pizza and spaghetti bolognese. The programme stresses health and the importance of a balanced diet, and that by learning the basics of cooking kids will have a better understanding of nutrition and what’s in a meal. 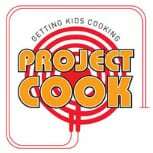 In 2005, Project Cook was sent to 1600 intermediate schools for use in the technology curriculum. It was developed in consultation with food writers, dietitians and home economics teachers, and has been distributed free of charge. Move60 is an initiative from Coca-Cola in partnership with BikeNZ and the Foundation for Youth Development (FYD), which encourages teens to be active for 60 minutes a day. The Move60 programme includes an app to support the teens on their fitness journey. The Move60 app offers a platform for teens to ride their bikes safely and socially, engage in some healthy and interactive competition, clock up the kilometres, and track their progress. Since 2004, Nestlé has been a sponsor of junior rugby with the Auckland Rugby Football Union (ARFU). Each child who registers to play with the ARFU receives a MILO/ARFU-branded ball and a MILO pack that includes advice on healthy eating. Nestlé also supports the Pro Sports team which visits many Auckland schools, teaching rugby skills and encouraging fitness and activity. MILO is embarking on new communications focused on Active Play. The aim is to encourage children and their parents to actively play more every day. Active Play is akin to unstructured sport, so has the lessons of sport but without the pressure. The programme is addressing the ‘barriers to play’ of ‘time’ (busy parents struggling to find time for play), ‘inspiration’ (the battle to find new ideas for active play), and ‘technology dependence’ (with one third of all kids’ free time now spent ‘plugged in’). The programme is about supporting Kiwi kids getting the chance to play every day. As part of its commitment to nutrition, health and wellness, Nestlé has become the main global partner of the International Association of Athletics Federations’ (IAAF) Kids Athletics programme, with a commitment to physical activity/sport. This initiative encourages children to participate in athletics and educates them about sport and healthy lifestyles. It also aims to support the development and encouragement of future athletes. Nestlé New Zealand and Athletics New Zealand are working together to implement and grow the IAAF Nestlé Healthy Kids Athletics Programme in schools and clubs. The objective is to create fun team competitions based on modified athletics activities. The programme is aimed at 7-12-year-olds and is specific to their developmental needs with a focus on developing the fundamental skills of running, jumping and throwing. While this programme is more environmentally focused, it does aim to also alert children to healthy eating and natural products. 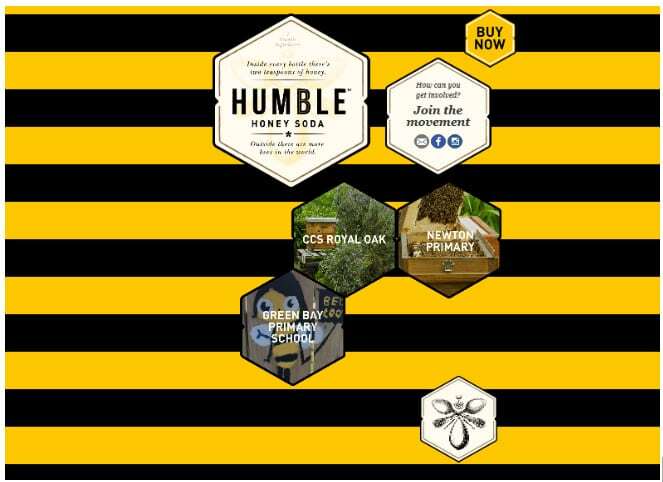 It supports the placement of bee hives in schools, the collection of honey, and honey in the diet. Tasti Products supplies more than one million muesli bars at cost to low-decile schools each year. ABE’S Bagel Bakery’s bagels-in-schools programme supplies bagels to every decile 1 primary school. The programme has been running since 2003. Harraways recently started a roll-out of its ‘Breakfast Club’ to schools that focuses on healthier food options for pre-schoolers through to university students by providing product and nutritional information and guidelines. Harraways is also involved in the GODZone Adventure Race, Rev Waikato cycle festival, and the Taranaki Wells half marathon. GlaxoSmithKline and EasiYo are significant supporters of KidsCan. SCA Hygiene donates school resource kits for girls in every school. Colgate ‘Bright Smiles, Bright Futures’ programme helps children build healthy habits. 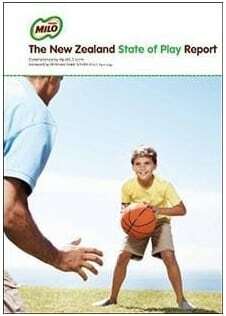 Since its launch in 1997 it has educated more than six million children in New Zealand and Australia. In 2012 it distributed 4000 educational and paste/brush kits to schools, equating to 128,000 brushes and pastes. Fonterra Coop, Coca-Cola Amatil, Hubbards, Tegel and Vitaco are partners with the First Foundation, which offers scholarships to students.